CHARLOTTE -- Here are three reasons the Carolina Panthers can beat the Seattle Seahawks in an NFC divisional round playoff game at Bank of America Stadium on Sunday at 1:05 p.m. ET. Home cooking: The Panthers have created the kind of home-field advantage that Seattle had in reaching the Super Bowl the past two seasons. They have a league-best 11-game home winning streak, including a playoff victory against Arizona last season. They were 8-0 at Bank of America Stadium this season. Their average margin of victory at home this season has been by a score of 33-17. That margin is 40-8.6 over the last three home games against Washington, Atlanta and Tampa Bay. 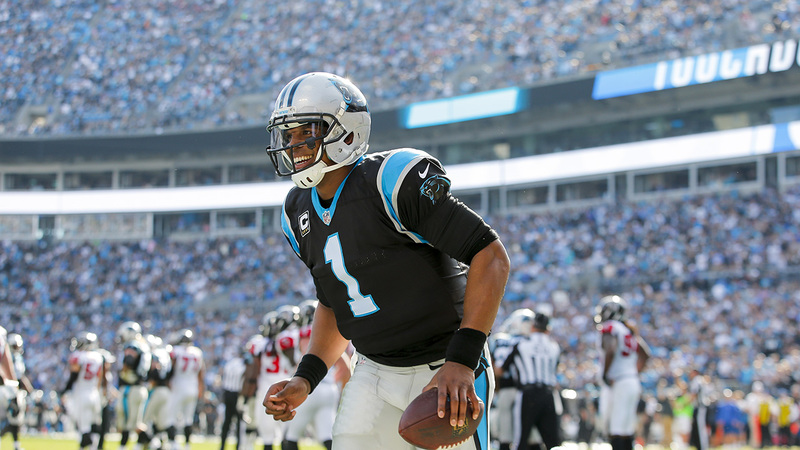 Quarterback Cam Newton has a passer rating of 104.6 at home compared to 94.5 on the road. He has thrown five more touchdowns at home than on the road. Securing home field is why coach Ron Rivera played his starters into the fourth quarter of the finale. He didn't want to take any chance of losing it. Over the hump: Seattle's mental edge over Carolina is gone. Newton and the Panthers had lost four straight to the Seahawks, including a divisional playoff setback at Seattle a year ago, before rallying for a 27-23 victory at Seattle on Oct. 18. Until Newton led the Panthers to touchdowns on their final two drives, he had generated no more than 17 points in any of the four losses to Seattle. The Panthers averaged 9.3 points at home in three losses to the Seahawks during the skid. A big reason for this year's turnaround was tight end Greg Olsen, who had seven catches for 131 yards, including a game-winning 26-yard touchdown with 32 seconds left. The difference between this and past Seattle defenses is the Seahawks struggled against the tight end, giving up 75 catches for 873 yards and eight touchdowns. A confident Newton with his top weapon in play could be big. Well and rested: Leading rusher Jonathan Stewart is expected back after missing the past three games with a sprained foot. Wide receiver Ted Ginn Jr. is expected back after missing the last game with a knee injury. They represent 1,887 yards of total offense and 17 touchdowns to the league's top scoring offense (31.2 PPG). Stewart in particular will be well-rested after going eight straight games with at least 20 carries. He brings a "Beast Mode" power to the running game like that of Seattle's Marshawn Lynch. Ginn's speed and threat to go deep on any play keeps defenses from loading eight or nine players in the box. Just as important here is that rookie running back Cameron Artis-Payne gained valuable experience that he hadn't gotten all season with Stewart out. This gives the Panthers a nice change of pace they didn't have. Also, Seattle is coming off a tough win at Minnesota in frigid temperatures and has to travel across the country again. That has to have an impact.